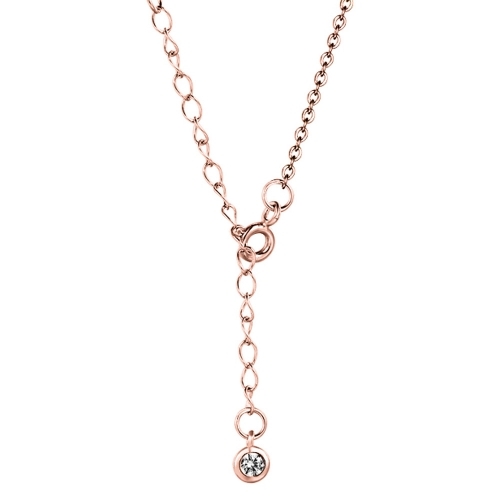 The moon necklace in rose gold is made of genuine sterling silver and was then rosé gold-plated. 24 small white crystal stones adorn the half moon pendant of the necklace. An additional small star, which is integrated into the chain, makes the necklace a unique piece of jewellery. The delicate anchor chain can be combined with many other pieces of jewellery and clothing. The rosé chain is 40 cm long and can be extended by up to 5 cm with the extension chain. Now is the time to reach for the moon according to our motto: "Aim for the moon. If you miss, you may hit a star". The moon chain is also available in the colors Silver and Gold. Get inspired by our community and enter the fantastic world of CHAMOON. Use our hashtag #bemoongirl or #chamoon and become part of the CHAMOON family. From an order value of £80, you get the bracelets and charms in the high-quality MOON-Box.